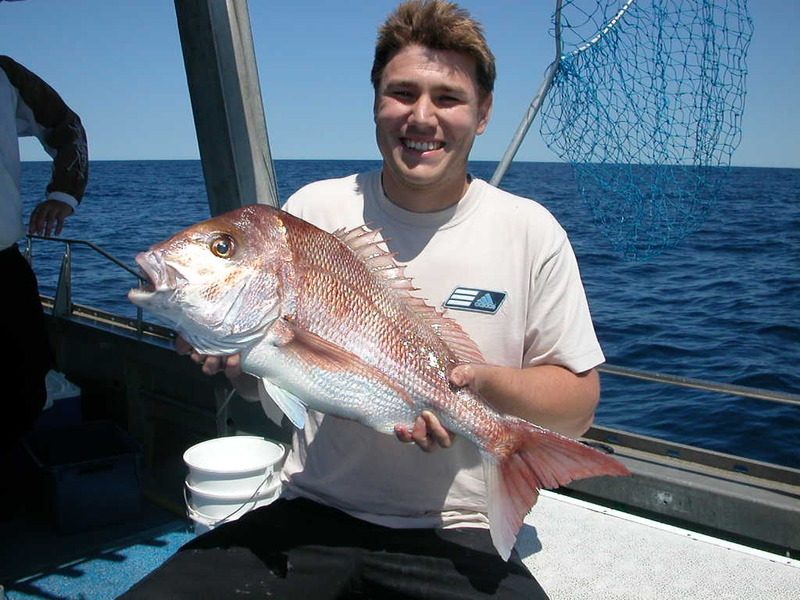 Reef fishing charters go out to fish for snapper, morwong, ocean leatherjackets, flathead and other bottom dwelling table species. We use Alvey Reels on boat rods with braided fishing line. Quality bait such as IQF pilchards, squid & prawns is provided along with any bait fish caught during the day. Trips may go as far as 15km to sea where it can be up to 140m deep. 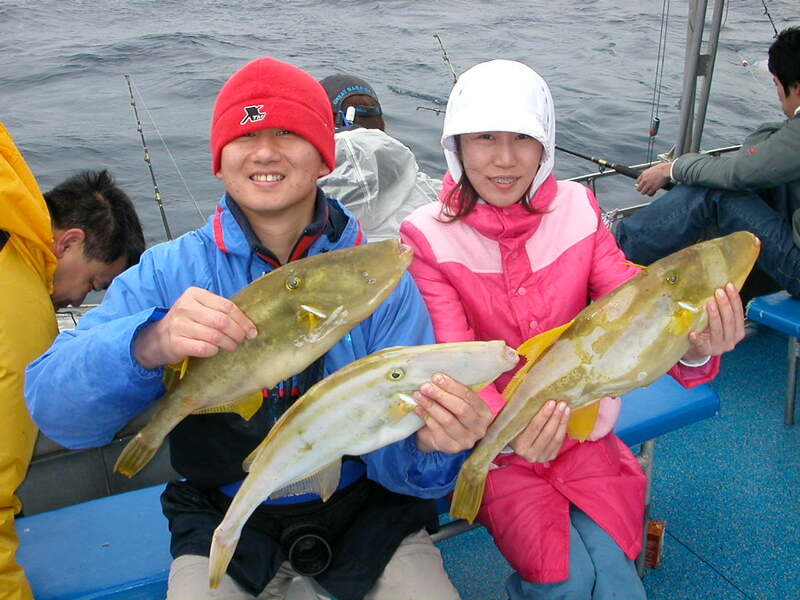 The area fished depends on the weather conditions, where the fish have been biting and capability of the anglers. Charters are available 7 days a week, all year round, (except Christmas Day & New Years Day), weather & minimum numbers permitting. Weekends are very popular and often book out well ahead, particularly between September & Christmas. 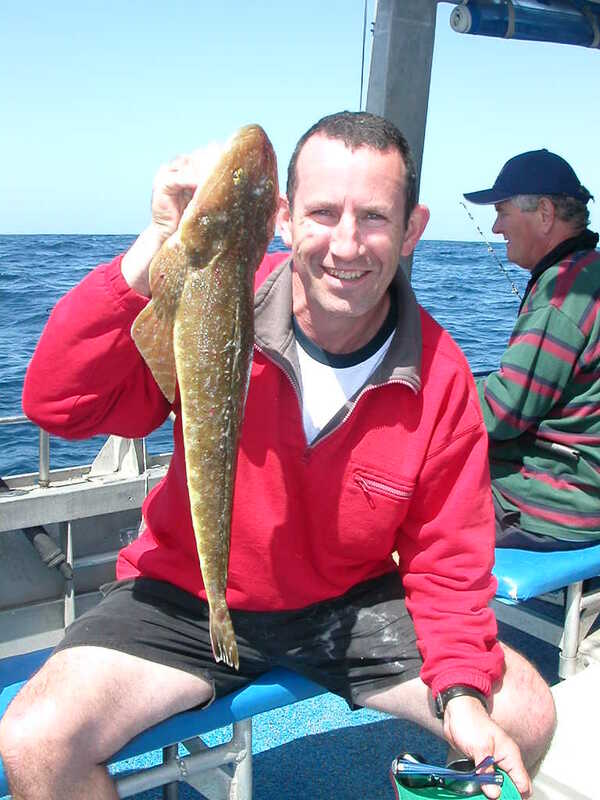 Make sure to contact us early to get aboard when you are thinking of going to Kiama fishing. Our availability page shows: Fully booked, ? Places available or blank means no one booked yet. On mobile devices you will need to click on the dates to get these details.Click here to check availability. Cost is $140 per person. The minimum is 4 people to start a trip or the equivalent amount in dollars = $560. Prices valid until 1 December 2019. If no one has already started a group you must have 4 to make a reservation for a particular day. In holiday periods we may have others with less than 4 so ring to check. Maximum: 10 people. Full boat bookings are discounted to $1350. We reserve the right to add extra people to make up to 9 people when combining small groups for charters. Groups of less than 9 wishing to have Kostalota to themselves must pay $1260. A minimum of 50% payment is required within 7 days of reserving your fishing charter. Immediate payment is necessary for dates within 2 weeks. Refundable or transferable only if we have to call the trip off for a problem our end or, if the skipper thinks the weather will be unsuitable for fishing. Payments will be forfeited if your group is unable to honour the date, for whatever reason. Payable by internet banking, Direct Deposit to our account, MasterCard, Visa over the phone (fee may apply), cheque, money order (clearance required) or cash. Phone contact is necessary to arrange payment. Reef fishing charters depart Kiama Harbour at 6am. You fish until 1pm and then return to shore between 1.30 & 2 pm approx. Includes bait, tackle, licence, morning tea & tuition if required. Deckhand on board for larger groups. Everyone gets their own fishing rod & reel & whatever they catch, they can take home (NSW Bag & Size limits apply). Quality fish species have usually been gilled & gutted. No scaling or filleting of fish permitted aboard. See our recommendations for charters aboard Kostalota for some tips to help you have a great day fishing.